My name is Randy Davisson. Eli and I have accomplished our goal. 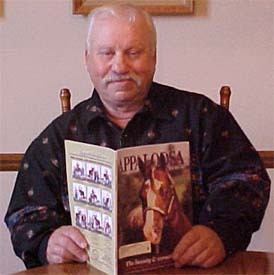 Since July 2000 thru April 2005, I have ridden the same horse Eli Whitney in all 50 states, Washington DC, all 10 provinces of Canada and two territories, a total of 58 months, establishing a world record. We were honored by Ripley’s Believe It or Not, on page 183 in Book 3 of the 2006 Edition, section titled “Impossible Feats.” They used pictures of the post offices in Echo, Utah and Dodge City, Kansas. If you click on our journal you can then click onto either state. Keep checking our website for new updates. In the video section, see Hawaii interview and also I’m driving my team, (Eli and Chester) which I drove across the state of Michigan from Empire on Lake Michigan to Oscoda on Lake Huron, in September 2006 It took 11 days, approximately 275 miles. The weather for 2 days was nice, 2 days ok and the rest were horrible. 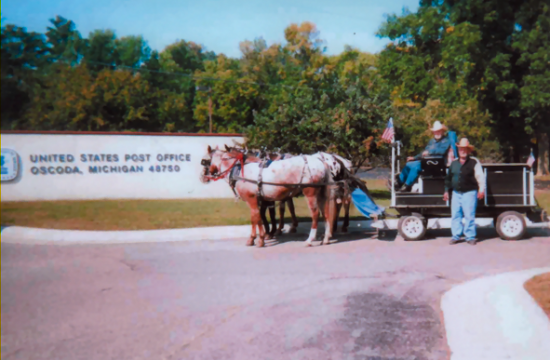 Please go to the journal and look at Michigan to see the post offices in Empire and Oscoda. September 6 to 26, 2008 21 Consecutive days, I drove Eli, Chief and Chester, my three horses on a new Amish built wagon, on the Michigan Double Cross. 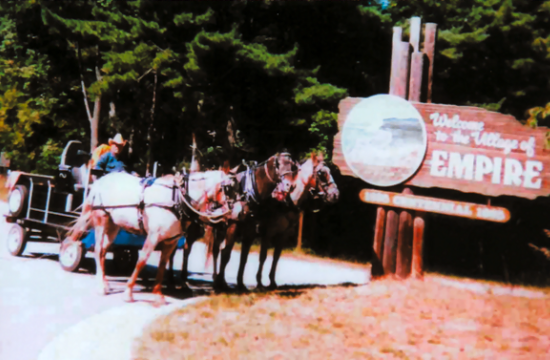 Every 3 years the Michigan Trail Riders hold this event. All the other participates rode their horses. 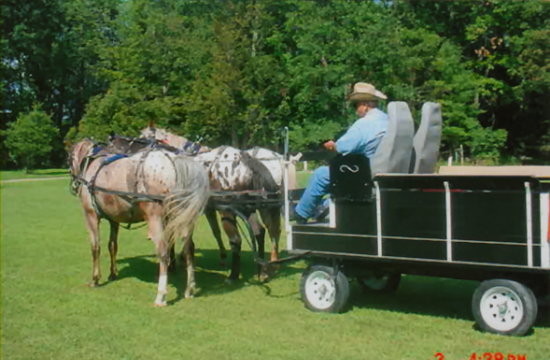 I was the only one driving horses. 46 riders started and 35 finished. Long time members can’t remember any one ever driving any horses on the double cross before. With the help of our navigator Bill Zettel from West Branch, Michigan (who has ridden across the state 40 times with the Trail Riders) we traveled from Oscoda on Lake Huron to Empire on Lake Michigan and back to Oscoda in 21 consecutive days a total of 547 miles. The 3 horses, Bill and I were all very tired. It’s a good thing I had the horses well conditioned before the trip. I drove them on the roads around the Oxford area, 325 miles getting them physically and mentally ready. 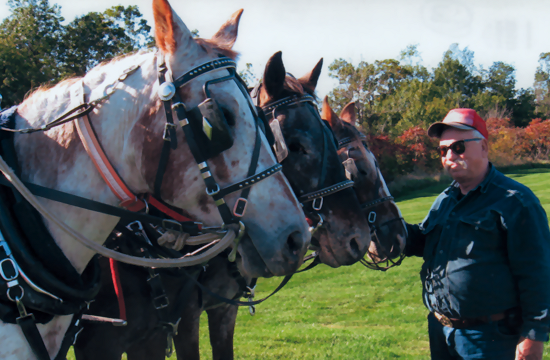 The horses were shod by an Amish man who put double clips on their shoes to help hold them on along with the nails. They also had drill tec on the bottom of their shoes to give them extra traction (grip)on hard surface roads. We established a world record by doing this. To see the horses click on video, go to the end of the video.